On Wednesday at Dublin’s Mansion House the Coalition 2030 group, of which ChildFund Ireland is a member, was launched. 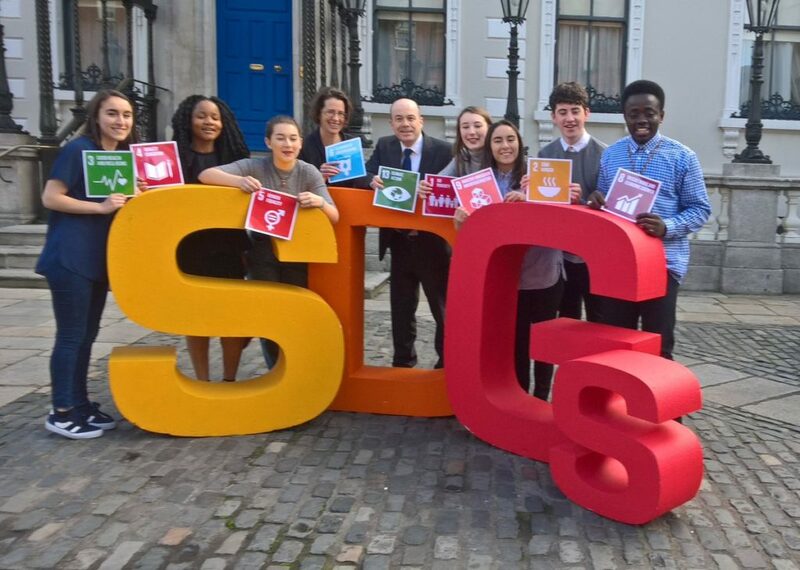 The group is an alliance of leading civil society organisations in Ireland, all united by a singular goal: to ensure that the government lives up to its obligations to fully implement the Sustainable Development Goal’s (SDG’s) by 2030. Key note speaker for the event was Minister for Communications, Climate Action & Environment, Denis Naughten. Minister Naughten spoke about the forthcoming launch of the Irish Government’s strategy plan for the implementation of the SDG’s. Indeed the Minister indicated that his office may spearhead the implementation process in Ireland on behalf of the Irish Government. The Coalition welcomes the leadership role of the Irish Government as we work collectively to ensure this fantastic opportunity for global society is maximised. Collectively, the Coalition 2030 alliance works both at home in Ireland and in over 50 countries overseas. The expertise of members ranges from ChildFund’s own speciality area of children’s rights, to environmental sustainability, and from humanitarian relief to education. The group has come together in order to promote the implementation, in Ireland and worldwide, of the United Nations 2030 Agenda, known as the Sustainable Development Goals. The SDGs represent a political, economic and social manifesto for the world over the next 15 years; their success has the potential to be one of the most important turning points in modern history. Ireland co‐chaired the negotiations, with Kenya, that led to their adoption. Now that the Goals have been adopted, Ireland must shift the focus to implementation and monitoring. In the years up to and including 2030, along with leaders of every country in the world, Ireland will report to the United Nations on whether we have kept our promise. Did we do what we said we would to eliminate hunger, to stall climate change, to reduce global inequality? The challenges Ireland faces – homelessness, conflict, forced displacement, climate change, loss of biodiversity, and income inequality – are not confined to our country. They are challenges we can only tackle at a global level, together. Universal participation is key. 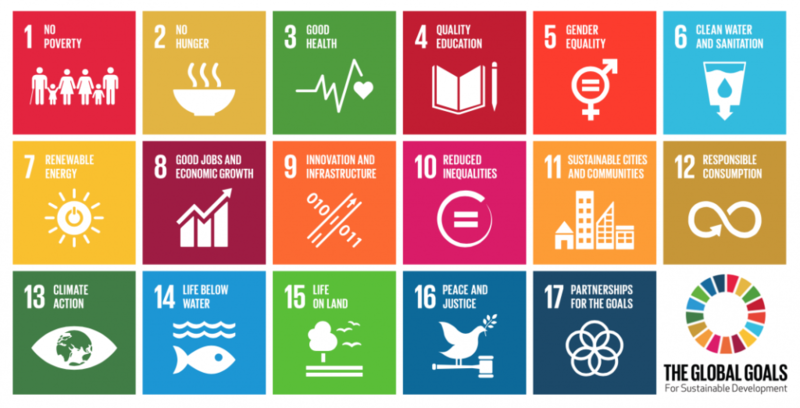 Sustainable Development Goals – what are they? In September of 2015, at the United Nations in New York, 193 countries adopted “Transforming our world: the 2030 Agenda for Sustainable Development,” and signed up to the 17 Sustainable Development Goals. They mark a significant departure from the Millennium Development Goals that preceded them, in terms of their universal application, recognition of their interconnected and integrated nature, as well as the commitment embedded in these Goals to leave no one behind. The Goals will ensure that by 2030 the world will have taken huge strides to end poverty, eliminate inequality, tackle climate change and stop environmental degradation. ChildFund’s mandate can most easily be identified under the wording; “End abuse, exploitation, trafficking and all forms of violence against and torture of children” (SDG target 16.2). The Sustainable Development Goals are BIG. With 17 Goals and 169 individual targets to be measured, reported on and met, every part of government and civil society, both here in Ireland and globally, will need to take responsibility for determining whether we become a more equal and sustainable society through meeting these targets. The UN has identified national parliaments as having a crucial role in ensuring development of a National Action Plan on the SDGs, promoting public debate about the Goals, overseeing progress towards national targets, and ensuring sufficient financial resources are committed to achieving the Goals. That is why we want government to play a leading role in Ireland and to help us get the foundations right. That the Government develops an ambitious National Action Plan, based within the Department of An Taoiseach and involving all government departments, to steer, implement, monitor, and report on the Goals. This action plan needs to emphasise the interlinked nature of the Goals ‐ linking agriculture and climate change, trade policy and global poverty. That the Government commits to establishing a monitoring forum in which those vulnerable groups – both Irish and internationally – who stand to gain or lose most from Ireland’s work on the Goals are fully represented. That the Government commits to a National Action Plan which works for the most marginalised and vulnerable. This means committing resources to those who need it most. Ireland must commit fully to increasing the resources committed to achieving the SDGs by supporting Financing for Development. As a key indicator of Ireland’s commitment, we must reach the UN target of spending 0.7% of our GNI on Overseas Development Assistance, with progress supported by multi‐annual road-map and benchmarks, and our aid programme needs to remain focused on the most marginalised and vulnerable communities. The SDG’s have created a unique opportunity to shape a more equitable, humane world by 2030. For the first time children’s right to live free from violence and exploitation has been explicitly recognised, and made a global priority. We owe it to them not to loose this incredibly opportunity. Coalition 2030 is a growing coalition of organisations based in Ireland, who work for social justice both here in Ireland, and globally in some of the worlds’ poorest countries.